Costas Paraskeva is a Lecturer in Public Law at the University of Cyprus, Department of Law. He obtained his LLB from the Aristotle University of Thessaloniki, Greece (2001) and his LLM (2003) and PhD (2009) from London Metropolitan University, under the supervision of Philip Leach and Bill Bowring. His doctoral thesis was on "The relationship between the domestic implementation of the European Convention on Human Rights (ECHR) and the ongoing reforms of the European Court of Human Rights." Before joining the University of Cyprus, Dr Paraskeva worked as a teaching and research fellow at London Metropolitan University and later as an Assistant Professor at the University of Nicosia. He was called to the Cyprus Bar in 2004 and has often appeared, before the Supreme Court of Cyprus and the European Court of Human Rights in human-rights cases. He has been the member for Cyprus of the Council of Europe Committee for the Prevention of Torture (CPT) since 2011. Dr Paraskeva is the author of a number of books, articles and chapters on various human rights issues and has conducted training for judges and lawyers on the ECHR for the Council of Europe, the OSCE and for various NGOs. His areas of research include the European system of protection of human rights, the effective enforcement and implementation of human rights norms, and the right of access to justice and redress. Paraskeva, C., Protecting internally displaced persons under the European Convention on Human Rights and other Council of Europe standards: a handbook, Council of Europe, Council of Europe & ACCESS, Strasbourg, 2017, pp.132 (translated in Ukrainian). Paraskeva, C., Cyprus Administrative Law, Nomiki Vivliothiki, Athens, 2017 (in Greek), pp.520. Mooney, M., Gerasymenko, Y., Morkova, O., Zayets, S., Chráska,F., Giakoumopoulou, E., McCallin B., Paraskevas K., Enhancing the Legal Framework of Ukraine on Protecting the Human Rights of Internally Displaced Persons, Council of Europe, Strasbourg, 2016, pp.231 (translated in Ukrainian). Paraskeva, C., Cyprus Constitutional Law: Fundamental Rights and Liberties, Nomiki Vivliothiki, Athens, 2015 (in Greek), pp.712. Paraskeva, C., The Relationship Between the Domestic Implementation of the European Convention on Human Rights and the Ongoing Reforms of the European Court of Human Rights (With a Case Study on Cyprus and Turkey), Intersentia, Antwerp – Oxford – Portland, 2010, pp.340. Leach, P., & Paraskeva, C., & Uzelac, G., International Human Rights & Fact-finding: An analysis of the fact-finding missions conducted by the European Commission and Court of Human Rights, Report by the Human Rights and Social Justice Research Institute, London Metropolitan University, February 2009, pp.184. Paraskeva, C., "The developing role of the European Court of Human Rights in the execution of its judgments: From declaratory judgments to indication of specific measures? ", forthcoming in Annuaire International des Droits de l'Homme (Vol. IX), 2017. Paraskeva, C., "The indication of specific measures by the European Court of Human Rights for the execution of its judgments" forthcoming in Dikaiomata toy Anthropou, Issue 72, in Greek (Παρασκευά, Κ., «Η υπόδειξη ειδικών μέτρων από το Ευρωπαϊκό Δικαστήριο Δικαιωμάτων του Ανθρώπου για την εκτέλεση των αποφάσεων του», Δικαιώματα του Ανθρώπου, ΔτΑ, προσεχώς 2017, Τεύχος 72). Paraskeva, C. & Meleagrou, E. "Homes from the Past: An Expiration Date for the Right to Respect for Home Under Article 8 of the European Convention on Human Rights", Annuaire International des Droits de l'Homme (Vol. VII), 2012-2013, pp.845-877. (published in 2015). Paraskeva, C., "Protecting Human Rights in Times of Crisis - Economic Crisis or Threats to Security", Annuaire International des Droits de l'Homme (Vol. VII), 2012-2013, pp.751-757. (published in 2015). Paraskeva, C., "Economic Crisis and Human Rights", International and European Policy, Issue 28, March – June 2013, pp.211-213 (in Greek - Παρασκευά, K., «Οικονομική Κρίση και Ανθρώπινα Δικαιώματα», Διεθνής και Ευρωπαϊκή Πολιτική, Τεύχος 28, Μάρτιος-Ιούνιος 2013, σελ.211-213). Paraskeva, C., «The Protection of the Right to Petition the Authorities in the Cypriot Legal Order», Yearbook of Cyprus and European Law, 2013, pp. 197-210 (In Greek- Παρασκευά, Κ., "Η Προστασία του Δικαιώματος του «Αναφέρεσθαι Προς τα Αρχάς» στην Κυπριακή Έννομη Τάξη", Επετηρίδα Κυπριακού & Ευρωπαϊκού Δικαίου, 2013, σελ.197-210). Paraskeva, C., «The Constitutional Protection of the Right to Privacy of Communication and Correspondence», Cyprus Law Tribune, Issue 1, 2013, pp.98-116 (In Greek- Παρασκευά, Κ. 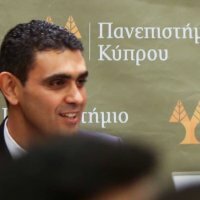 «Η Συνταγματική Κατοχύρωση του Δικαιώματος του Απορρήτου της Αλληλογραφίας και Επικοινωνίας», Κυπριακό Νομικό Βήμα, Tεύχος 1, 2013, σελ.98-116). Leach, P., & Paraskeva, C., & Uzelac, G., "Human Rights Fact-finding: The European Court of Human Rights at a Crossroads", Netherlands Quarterly of Human Rights, Vol. 28, No. 1, 2010, pp.41-77. Paraskeva, C., "Impact of the European Court of Human Rights Decisions- Reparation Mechanisms in Cyprus and Turkey", Report of Workshop II, "The Interaction Between Mass Claims Processes and Cases in Domestic Courts", Impact of International Courts on Domestic Criminal Procedures in Mass Atrocity Cases (DOMAC), Work package 7 on Reparations. Amsterdam Centre for International Law, University of Amsterdam, 18 June 2010, pp.14-18. Paraskeva, C., "The Application of the 'pilot judgments procedure' to the post-Loizidou cases", Annuaire International Des Droits De L'Homme, Vol. IV, 2009, pp.573-588. Paraskeva, C., "The application of the "pilot judgments procedure" to the post-Loizidou cases – the case of Xenides-Arestis", in "Third Informal Seminar for Government Agents and Other Institutions on Pilot Judgment Procedure in the European Court of Human Rights and the Future Development of Human Rights' Standards and Procedures, Warsaw, 14–15 May 2009", Kontrast, Warsaw 2009, pp.99-107. Paraskeva, C., "Returning the Protection of Human Rights to Where They Belong, At Home", The International Journal of Human Rights, Vol. 12, No. 3, June 2008, pp.415-448. Paraskeva, C., «The Adoption of the Pilot Judgment Procedure by the European Court of Human Rights», Revue Hellénique des droits de l'homme, 2009, Vol. 43, pp. 719-743 (In Greek- Παρασκευά, Κ., «Η Υιοθέτηση της 'Διαδικασίας Πιλοτικών Αποφάσεων' από το Ευρωπαϊκό Δικαστήριο Δικαιωμάτων του Ανθρώπου», Δικαιώματα του Ανθρώπου, ΔτΑ, 2009, Vol. 43, σελ.719-743. Paraskeva. C., «Compensation Commission: The Trojan Horse in the walls of legality of the ECHR», Cyprus Law Tribune, Issue 1, January-April 2008, pp. 50-58 (In Greek- Παρασκευά, Κ., «Επιτροπή Αποζημιώσεων: Ο Δούρειος Ίππος στα τείχη της νομιμότητας της ΕΣΔΑ», Κυπριακό Νομικό Βήμα, Τεύχος 1ον, Ιανουάριος-Απρίλιος 2008, σελ.50-58. Paraskeva, C., "Specific orders given by the European Court of Human Rights to states on how to execute its judgments", EHRAC Bulletin, Issue 7, Summer 2007, pp.5-6. Paraskeva, C., «The Execution of the Judgments of the European Court of Human Rights for the Greek Cypriot Property Cases», in The Cyprus Problem in Development, International Dimension, Issues of Governance, Human Rights, Foundation of International Legal Research Professor Elias Krispi and Dr. A. Samara-Krispi, 2011, pp. 225-241 (In Greek -Παρασκευά, Κ., «Η Εκτέλεση των Αποφάσεων του Ευρωπαϊκού Δικαστηρίου Ανθρωπίνων Δικαιωμάτων για τις Κυπριακές Υποθέσεις Περιουσιών», ΤΟ ΚΥΠΡΙΑΚΟ ΠΡΟΒΛΗΜΑ ΣΕ ΕΞΕΛΙΞΗ, Διεθνής Διάσταση, Ζητήματα Διακυβέρνησης, Ανθρώπινα Δικαιώματα», ΙΔΡΥΜΑ ΔΙΕΘΝΩΝ ΝΟΜΙΚΩΝ ΜΕΛΕΤΩΝ ΚΑΘΗΓΗΤΟΥ ΗΛΙΑ ΚΡΙΣΠΗ ΚΑΙ ΔΡ. Α. ΣΑΜΑΡΑ-ΚΡΙΣΠΗ, 2011, σελ.225-241). Paraskeva, C., & Christou, Th., "Cyprus" in Christou, Th. European Cross Border Justice: A Case Study of the EAW, The AIRE Centre, 2010, pp.55-68.